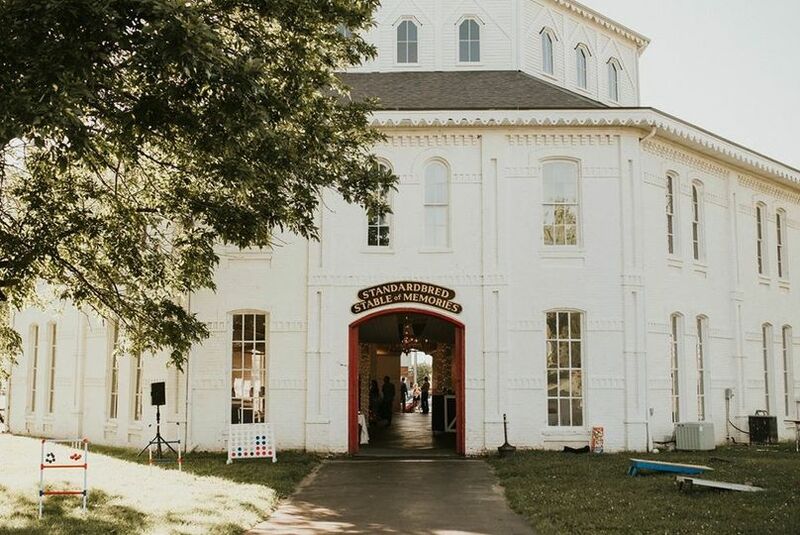 Located in the heart of Lexington, the Round Barn Stable of Memories is one of Lexington's historic landmarks and architectural treasures. This four-story barn was built adjacent to the Red Mile Racetrack in 1882, serving as an exhibition hall before being used to house horses for the races. After being restored as a museum, The Round Barn became a unique, historic location for special events. 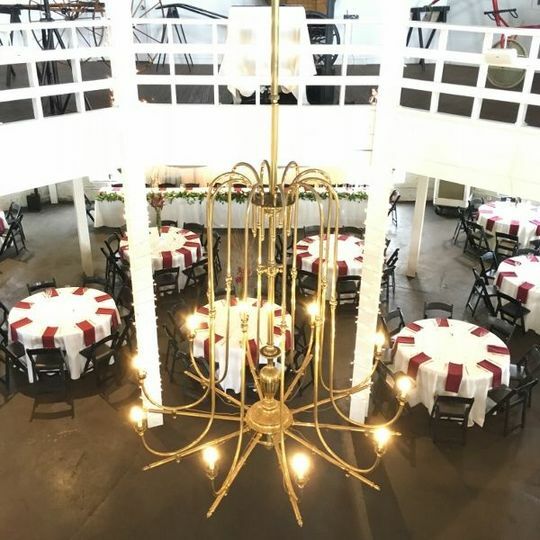 Offering a rustic but elegant atmosphere the Round Barn has a tremendous amount of charm with its circular design, indoor balcony, drapery and bistro lights. 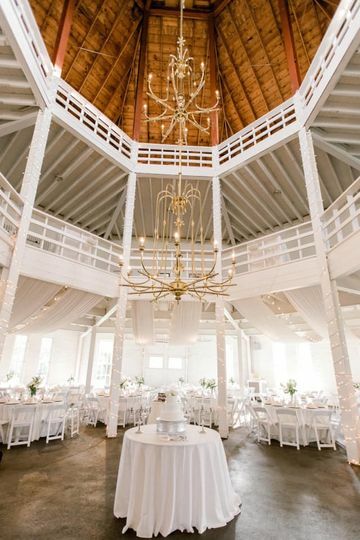 A stunning chandelier suspended through the center creates a warm, welcoming ambiance over the dance floor. 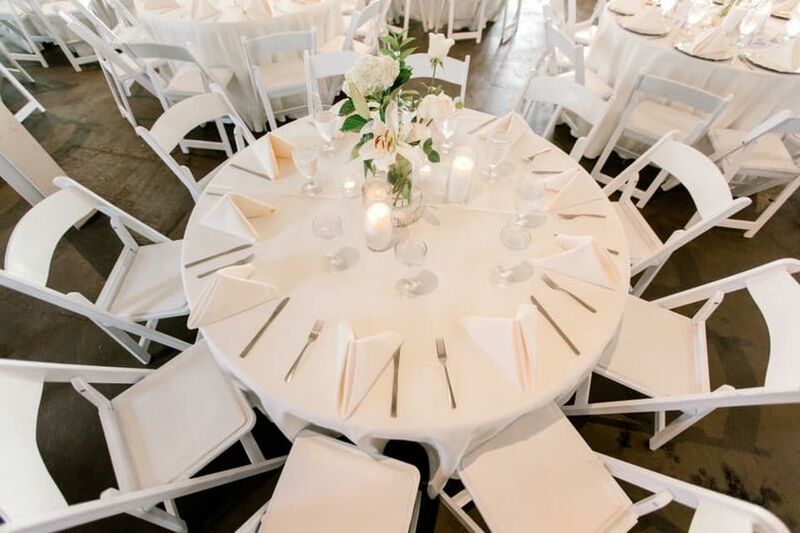 Utilizing the first and second floor, the Round Barn will seat around 250-320 guests for a full dinner or around 400 cocktail style with a mix of round tables and bistro tables. 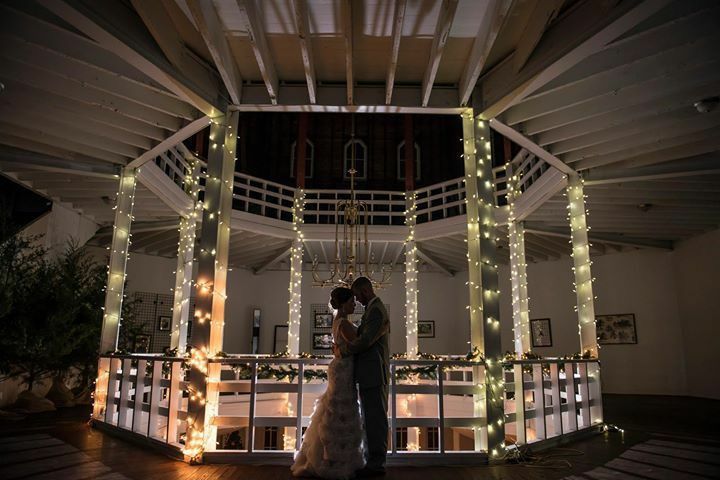 The second floor balcony may also be used for cocktail hour, photo booths, ceremonies and much more. 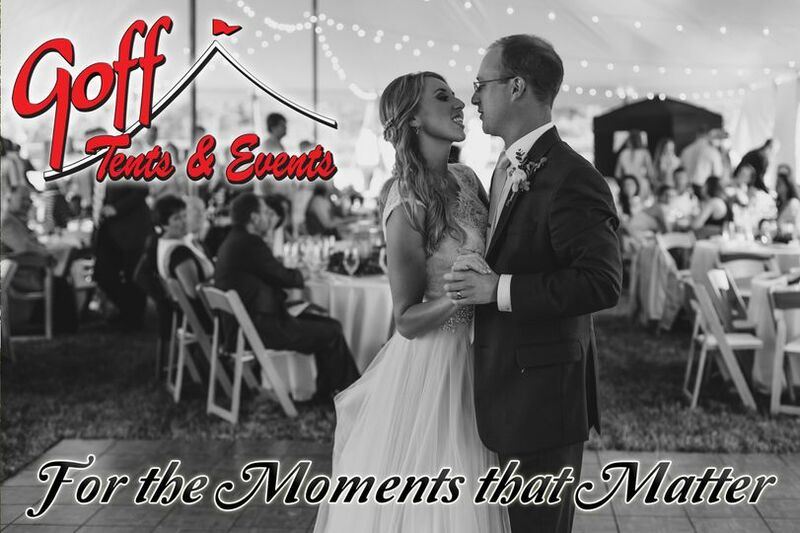 The Round Barn hosts a variety of wedding events incuding ceremonies & receptions, rehearsal dinners and engagement parties. 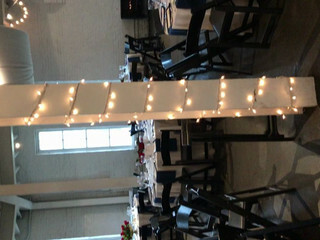 The venue’s event managers also offer their expertise to assist you with menu planning, vendor recommendations and more. Parking is available and the venue is wheelchair accessible. In addition, it’s pet friendly. Banquet Tables for gifts, guest book, favors, catering, dj etc. I cannot say enough good things about this venue and the staff of Bayou Bluegrass! From the time of our initial visit until wedding day, Shanna could not have been more attentive or accommodating. Our wedding day showed a 70% chance of rain despite our dream of an outdoor wedding, Shanna stayed in constant contact with me to ensure that I felt relaxed and prepared despite needing to implement a "Plan B". The day ended up being sunny and hot, and she couldn't have been more of a trooper when I made a game-time decision to move everything back outside. And that is just one small example of how absolutely committed Bayou Bluegrass is to making your day as special as possible. Incredible service aside, the venue is also beautiful and the food is DELICIOUS. 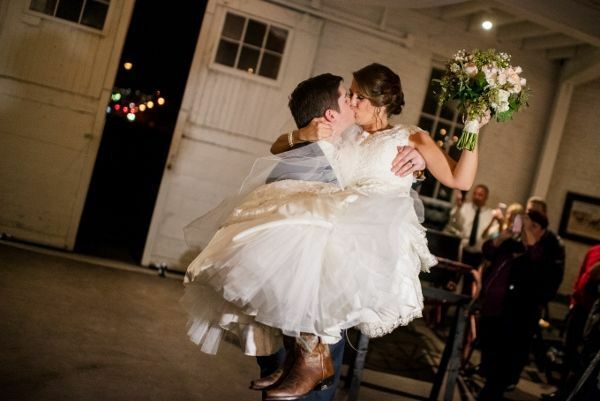 As a word to this wise, maybe rent industrial fans if getting married in the warmer months (there isn't any AC). But definitely don't let that keep you from wanting to get married here in the summer. Can't recommend enough! Everyone loved this place, and all the associated bits. The weather didn't cooperate so the ceremony was held upstairs. It's deceptively large! The food was amazing, and the service was beyond compare. The bartenders cracked me up and I had so many people tell me that they had similar opinions of them. Near the end of the night when things were starting to wrap up, I tried to help the clean up crew out and they sent me away and told me to enjoy my wedding. They wouldn't let me help! It was funny and I think I needed that reminder that it's for my husband and me. Shanna was a wonderful help, with planning, set up, and just keeping me posted on things. Also definitely get the green beans with garlic and shallots if you can. They're absolutely killer. This place is amazing! 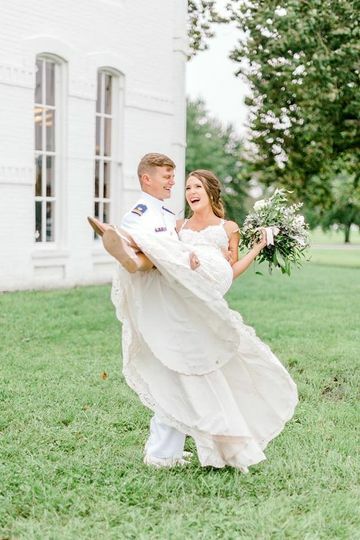 My fiance and I fell in love immediately and I'm even more in love now that our wedding has past. Erin was super fantastic and did an amazing job to make sure everything went great for our day. We cannot thank her enough for everything! No regrets whatsoever. 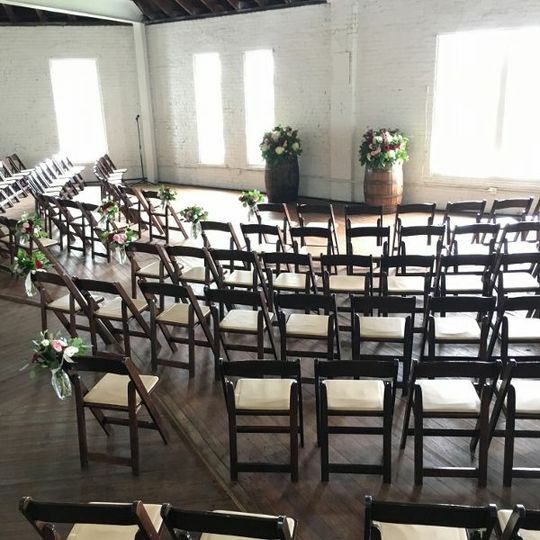 One of Lexington&apos;s most beautiful and unique venues. 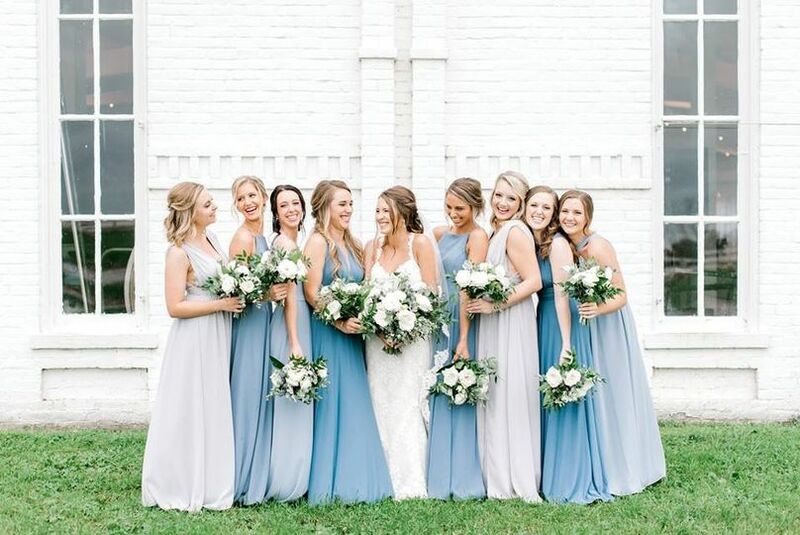 The Round Barn has an excellent staff that makes every event run perfectly.